Manchester United look set to lose yet another defender, as manager Jose Mourinho pushes for at least one more signing before the end of the transfer window. Ole, in Argentina, are reporting that Everton have made a €33m offer for United’s Marcos Rojo, and that the offer has been subsequently accepted by the Red Devils. Only personal terms need to be worked out between player and club, the report adds. Rojo has been fairly decent for Manchester United, but he struggled to maintain full fitness last season, along with being on the sidelines because of lack of spots in central defence. The Argentine is a versatile player, however, and can fit into a full-back role quite comfortably, as has been witnessed during his time with the national team. COMPARISON: Alderweireld vs Maguire – Who Should Man United Sign? One problem that could develop though, is that Rojo wants a raise in wages if he is to swap teams, and Everton may not be willing to accept such an increase just yet. That being said, Everton boss Marco Silva is very keen on bringing Rojo in, especially after his recent World Cup performances, where the defender made some key contributions for his country. 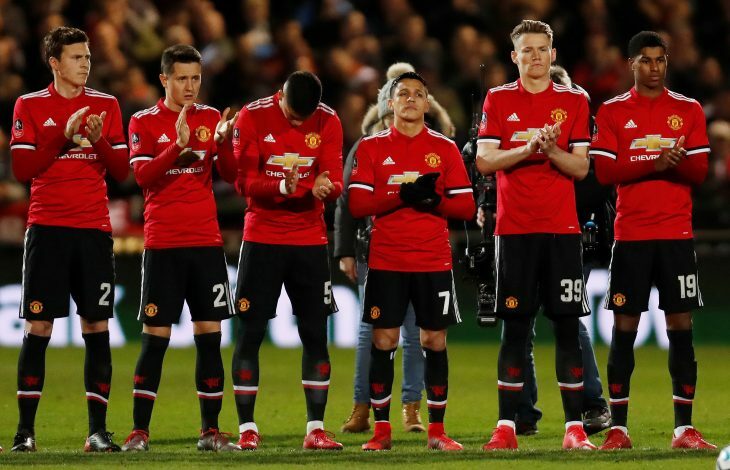 Manchester United themselves are looking to plan a major coup very soon, with the likes of Harry Maguire, Toby Alderweireld, and Yerry Mina all still linked with the English giants, and a deal expected to be worked out very soon. While it looks increasingly likely that a new face will enter the confines of Old Trafford this week, it is also clear that Mourinho wanted much more in a transfer window which has largely fallen flat for the 20-time English champions. With August 9 set as deadline day, United know they need to wrap up any possible deals very quickly.